When thinking of BPA we often think of hard plastics, like water bottles and maybe coffee makers and other kitchen appliances. But BPA is also used in that white plastic lining found in canned foods and drinks. 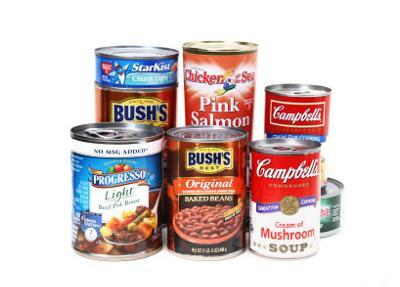 A recent study conducted by the Harvard School of Public Health suggests that canned foods and soups are a much larger source of BPA in our bodies that was previously understood. In fact, researchers found that after eating soup from cans for just five days, people had levels of BPA in their urine which were 1,000 percent higher when compared with people who ate homemade soup. "We've known for a while that drinking beverages that have been stored in certain hard plastics can increase the amount of BPA in your body. This study suggests that canned foods may be an even greater concern, especially given their wide use." That concern is particularly urgent when you think about how often young people not only eat canned foods, but also drink pop and other beverages from cans. 1,000 percent is an astonishing increase in BPA levels, and demands that we reconsider some of our buying habits. In other words, when you reach for anything that comes in a can, pause and ask yourself whether there is a way to buy a similar product, but in a safer form of packaging.